When my son was home from college, we watched the "Up" series - 7 Up to 56 Up, one per night. It's a fantastic documentary series, but it made me realize how impossible it would be to capture what has happened to any individual in 7 years. If I'd been in this series, last time they filmed me I would have been a school secretary, raising my kids, healthy and happy, hopes for the future - for my children's lives, thinking my husband and I would retire and perhaps move to Arizona where we'd travel, grow old together. Cut to today. Those of you who have read from the beginning know what a long, difficult road the past five years has been. It would be impossible to share it adequately in a ten minute TV segment, and so what they would show is a woman who appears happy and healthy. The years of worry, pain, fear, acceptance - all would be glossed over. And they have changed me so much that I believe these have been the most important years of my life. The Soul Pancake people did a good job of capturing the love I feel for my family and what living with disease is like, but it's hard to get the day-to-day struggle I have experienced and still am going through. It is also impossible to understand the amazing experience it is to still be here after having very little statistical chance. Oh, I can describe what I've been through in a short paragraph. "I was diagnosed with stage II breast cancer in 2009 and had a mastectomy, chemo and a year of herceptin. Metastatic cancer was found in the liver in 2011, and since have had a liver resection, ablation, 7 chemos, SBRT, nearly died from C-Diff Sepsis, and finally achieved remission with the Herceptin/Perjeta combination." That describes the story - but doesn't tell it. Can one? People are visual, and I don't really have many pictures of myself as I went through it, but could I tell the story in a short time with what I had? I did a little short video with flipgram to see if I could sum it up. This barely skims the surface. But here it is. I have a PET scan coming up. I have pain in my right side that I honestly believe is scar tissue and not cancer, but we have to check. I hope it shows I'm still in remission but won't be disappointed if it doesn't. I think it will be fine though, and on the 21st I start an exercise class for cancer patients to try to control some of the pain and strengthen my body. I am clawing my way back to that woman of five years ago. I once again have plans for the future, different ones than before. Now have to include medical treatment every three weeks, and all that comes with that. I am not going to leave the state, I'm not going to start over with new doctors and insurance, and I am not healthy enough to travel, at least not yet. But I have plans just the same and that is miracle enough. I look at the people in that Up series a little differently because I understand that there is no way that their experience can be captured accurately. Think back over the past five years of your life - can you sum it up in ten minutes in such a way that people understand all you have experienced? There's no way I could so I won't even try. 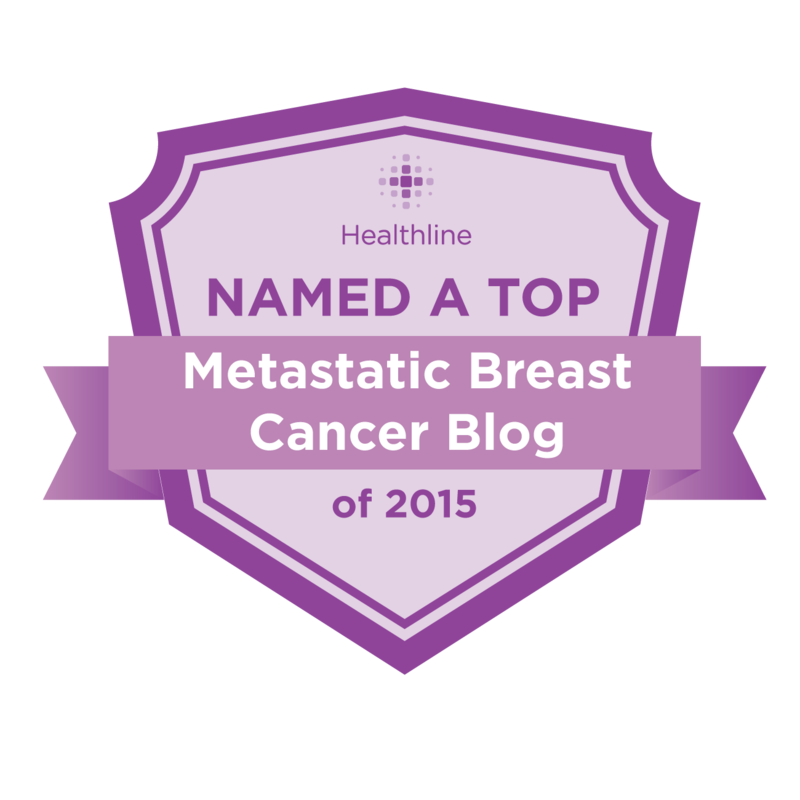 I've experienced so many big changes, without even adding my breast cancer diagnosis last year. Most of your video resonated deeply with me. I hated daily radiation treatments even though it was a short painless procedure. These impacted me emotionally much more than I'd anticipated. Everyone was so positive and nice there, yet inside I felt like screaming and/or crumpling to the floor. There was nothing else the people there could have done, so then I felt (feel) guilt also. Great. Now, Tamoxifen is my daily "friend" instead of how I used that word in the past. I'm supposed to continue for 5 years. I'll never have children genetically mine, even though I declined Chemo for precisely that reason. Great again. Hope you don't mind these comments. It's wonderful you're making future plans. THANK YOU for your blog and may you have many blessings going forward!! I love the comments, thank you! I think a lot of the problem with treatments like radiation is we feel so helpless. We have to lie still and let people do stuff to us...even if it isn't painful, it is mentally challenging. And it does take away choice. I, too, am a metastic breast cancer liver met chick. Your video is so powerful. No words; just amazing emotion. That video is brilliant - thanks so much for sharing it. It's made me think I need to take more pictures. And no, there's no way a 10 minute slot on a TV show can encapsulate many years of living ... but I guess as a snapshot it's interesting nonetheless. First, I would like to thank you for your blog, Ann. I started reading it when I was first diagnosed with breast cancer in 2013. You are witty and sarcastic, just like me! I came across this article of a stage 4 cancer survivor in our national paper (I am Canadian) and thought of you. It appears she has been stage 4 for almost 20 years and she is going strong.